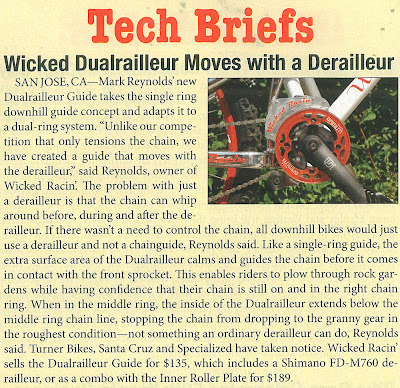 Last year I was contacted by Mark at Wicked Racin' to assist in developing the Dualrailleur chain guide system. 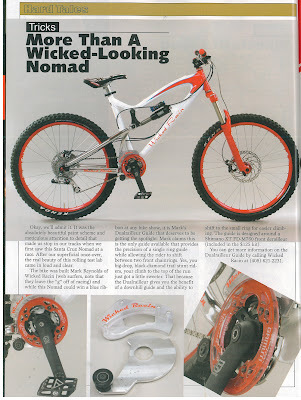 Mark had already hand-built a few prototypes that worked exceptionally well on his small fleet of Santa Cruz duallies. 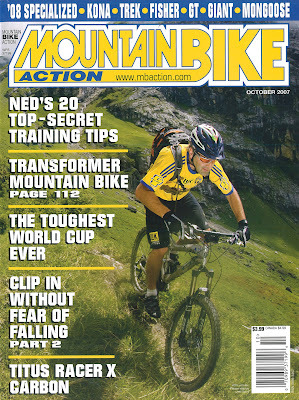 I immediately saw the advantages of this concept for long-travel trail bikes that typically use single-ring chain guide/bash guard setups. The Dualrailleur enables front shifting of (2) chainrings which doubles the number of gears available to the rider - how sick is that?! From the Wicked Racin' website: The Dualrailleur is the first and only guide on the market to provide the precision of a single ring guide while allowing the rider to shift between two front chain rings. Mark's novel concept encloses a Shimano XT front derailleur with aluminum and polycarbonate plates to create broad shifting surfaces to accurately control chain movement without any slippage. After a full introduction at Sea Otter this year, this unique design has caught the attention of pro racers, major component manufacturers, frame builders and of course consumers. Check out some recent reviews of this product in MBA and BRAIN below. 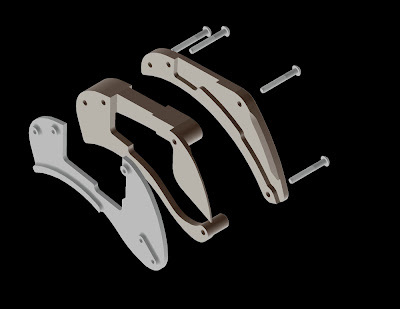 The challenge to designing the Dualrailleur was converting functional/hand-built prototypes to flexible 3D CAD models. The first step was to dismantle a working unit, trace the pieces onto a piece of paper and measure many of the features with calipers. Each plate has a specific purpose; the anchor plate mates to the front derailleur and is made from aluminum. The center plate bridges the anchor plate and outer plate while serving to stiffen the derailleur cage. The outer plate clamps everything together while adding more stiffness. After many hours of modeling, the first design concept was prototyped and has served as the baseline for all future iterations. I believed we've reached the goal of developing a low-profile, high-performance design with minimal part count. If you're going to Interbike, you'll want to check out the Wicked Racin' booth in Vegas. 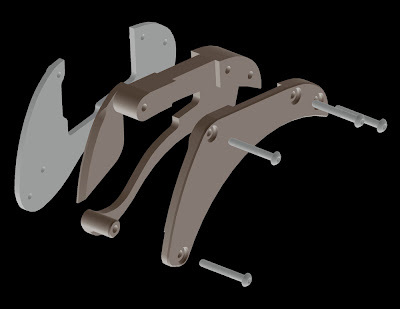 Exploded views of the Dualrailleur are shown below. Do you have an idea worth prototyping or patenting? I can help you bring your product ideas to reality - please contact me for more info.